Of course the batter makes a giant stack even my gang can’t get through in one meal, so I stack them up, separated by waxed paper, then wrap in foil and freeze. Super easy to throw in the toaster anytime. 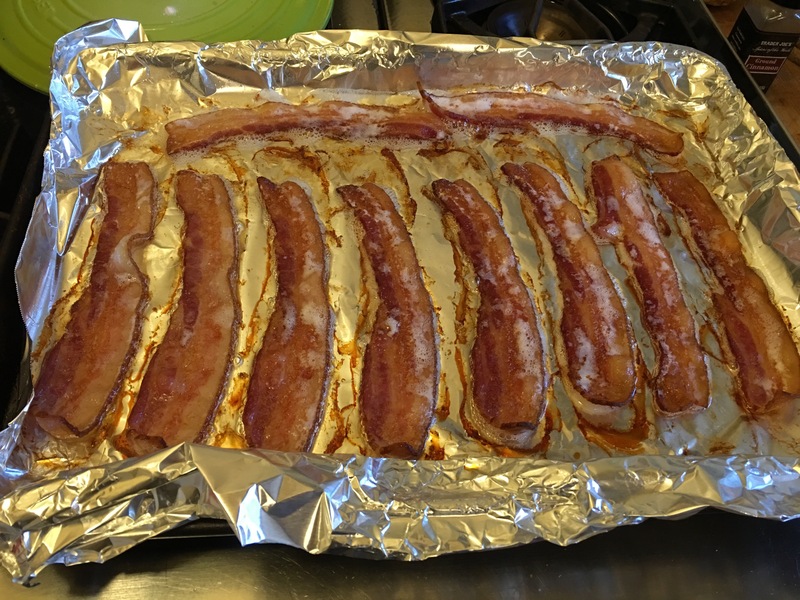 Line a rimmed baking sheet with heavy duty foil and lay out your bacon. Heat your oven to 400 and pop the bacon in. Check and rotate your pan after 10 minutes. 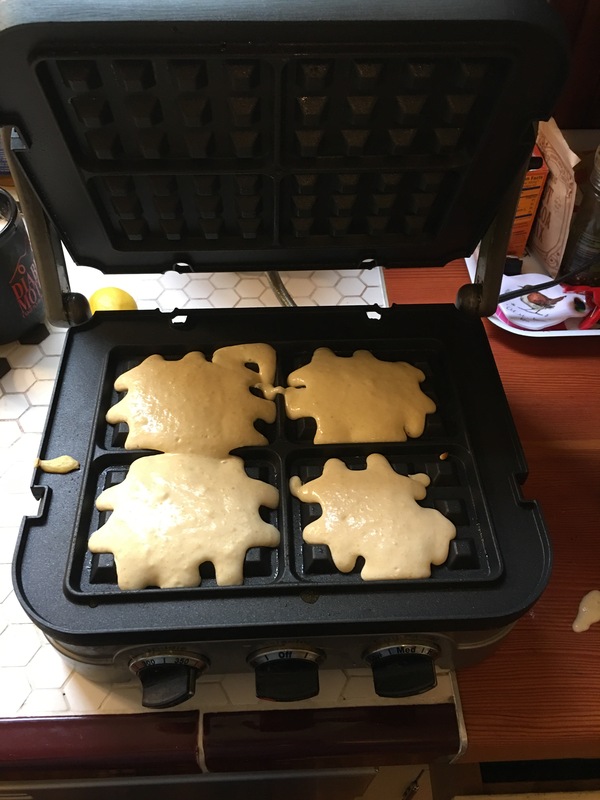 Assess done-ness and give another 5 if not crispy enough, repeat in 5-minute increments until done to your liking, and drain on paper-towel-lined plates. 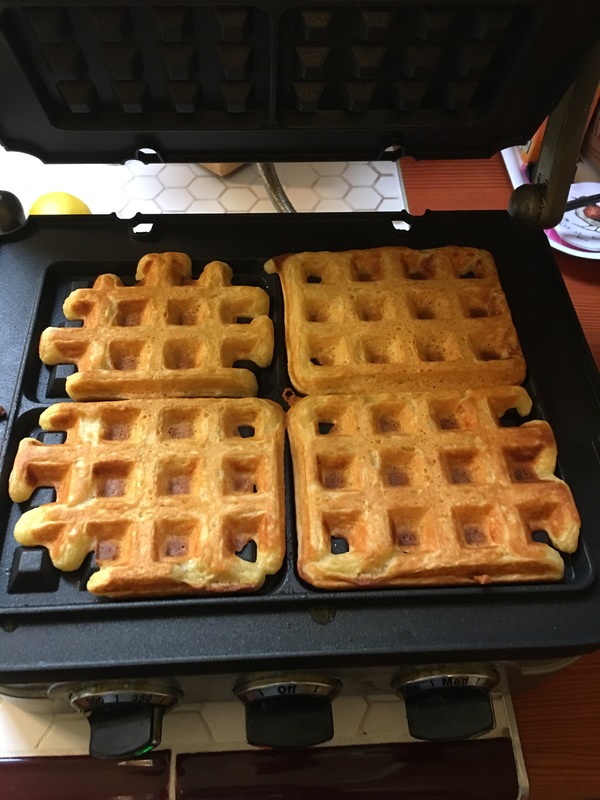 I cook the entire package, and like the waffles, I wrap the leftovers, refrigerate and then crisp in the toaster oven for another meal. Yum!